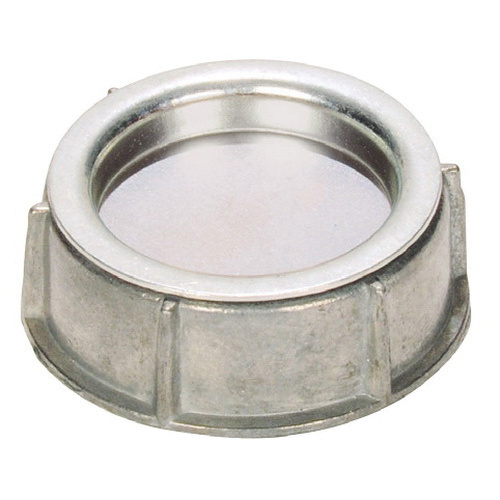 Sepco Conduit capped bushing is suitable for use with rigid and IMC conduit. It features die-cast zinc construction. Bushing of trade size 1-1/4-inches, comes with metal cap insert. It has a dimension of 1.94-Inch OD x 0.6-Inch.